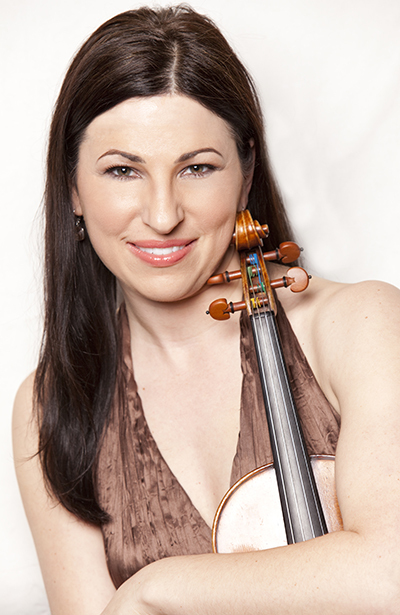 Amy Schwartz Moretti is the Director at Robert McDuffie Center for Strings, where Ovation Press founder Hans Jensen also teaches. You can view her bio here. Ovation Press: In your life you have done so many things. 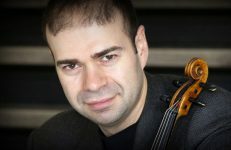 First in your education, you focused on becoming a great violinist and also a great chamber music player. You did eight years as concertmaster in two different orchestras. Out of college did you start right away? How long did you have between college and being a concertmaster? Moretti: I did start right away, actually the middle of my Master’s degree. Yes, my life has taken many paths and the diversity has been wonderful for me. I began playing the violin at age 4 1/2 learning by the Suzuki method in group classes in California, then later, private lessons in Greenville, North Carolina. My teacher was among the early pioneers to establish a Suzuki program in the United States and was a wonderful teacher. Her name is Joanne Bath; she provided the basis of my joy for music making. I learned so much as a child about the love of making music together with friends. She had a huge studio and we played a lot of community concerts and get-togethers. We attended Suzuki Institutes together in Tennessee and Wisconsin as well as North Carolina where large classes of kids played together. We were all young and the teachers made it fun for us. There was a lot of laughter and movement, which kids especially need and appreciate. 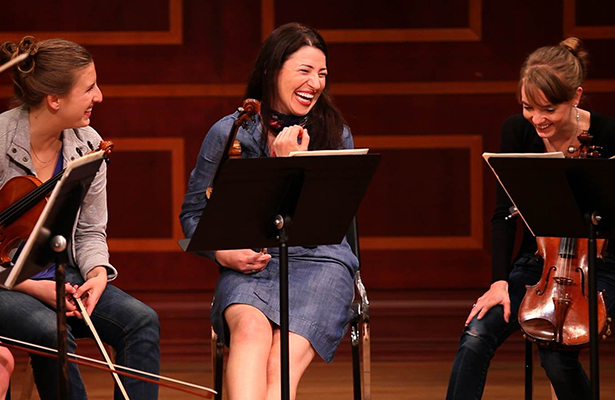 When I think back on it now, that was the start of what later became my love for chamber music – that process of learning and playing together with friends. The summer when I was twelve, I went off by myself to the Meadowmount School in upstate NY. Ovation Press: That was with Ms. Pardee? Moretti: With, yes, Margaret Pardee. It was the first time I practiced five hours a day! Meadowmount was like “Violin Boot Camp” for me. Every day we all spent five hours in our rooms practicing and I had to figure out how to fill five hours of time. Once I was caught sweeping my room instead of practicing by one of the counselors and oohhh, I felt terrible. I thought I was just taking a break but it must have been for too long! Soon I learned etudes and had many scales and arpeggios and techniques to practice so those five hours quickly were filled! Ovation Press: Had you done all the Suzuki books? Moretti: By that point I had pretty much completed the 10 books plus my teacher also taught me scales and other pieces outside the Suzuki books. When I got to Meadowmount, I met really interesting people that were very much like myself in age and desire to learn violin music. Practicing so many hours a day, taking lessons with Margaret Pardee who would sing the correct pitch when I played out of tune (she had perfect pitch) and hearing all these amazing string players at concerts that were held all the time there, was very influential in my life. I spent four summers going there. By the time my fourth summer finished, my parents realized we should figure out getting to a situation where I’d be surrounded by musicians of that level all the time. That’s when I went to San Francisco to study. Ovation Press: Where did your parents live at that time? Ovation Press: Did they relocate? Moretti: No, but my mom came with me for the first three months to make sure it was what they expected and be sure I was safe, and to get me settled and registered for school. My dad knew the Dean very well and my parents trusted his advice. Ovation Press: How old were you then? Moretti: I was 16. I moved into a house in the Sunset District called Music House one block from the San Francisco Conservatory of Music and one block from the city bus that took me to school. There were other students in the house who were attending the pre-college of the Conservatory and also doing regular high school. I happened along at the right time because Music House does not exist anymore – and the Conservatory has moved downtown. It was started by the mother of a pianist from Northern California who had been commuting to San Francisco for her daughter’s lessons until it just got to be too much. I felt fortunate to have a home to live in and home-cooked meals by Merritt’s mother along with wonderful friends. I studied at the Conservatory with Zaven Melikian, an amazing teacher who was concertmaster of the San Francisco Opera Orchestra. I got to go to the opera many times! The Conservatory has a great chamber music program within the prep program, so I was immersed in chamber music there. Ovation Press: Also in Cleveland? Moretti: Yes, in Cleveland staying on with Weilerstein. I was trying to figure the arm out. And luckily after six months, which I don’t remember much of now because I think I was just in a state of shock, “Oh my, what am I going to do now?” I was so fortunate that this healed. Ovation Press: What do you think caused it in the first place? Moretti: I think probably overuse of the arm. There was a lot of performing going on at the end of the semester plus I was invited to perform at graduation – our quartet played commencement weekend – but I’m sure it was the combination of moving things in my apartment and a lot of playing because it specifically happened after lifting that heavy metal futon and moving things in my apartment to accommodate it. I still have the futon – it’s really a very nice one – but I don’t dare touch it! 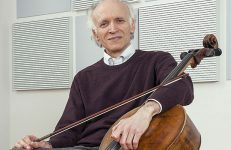 So now, of course, I teach my students that you have to be careful – you need to stretch before you play and you need to treat your body like you’re an athlete because we’re very sensitive, the position we play in as violinists and violists is really not a natural position. I try to teach all my violin students my warm-up stretches. After that happened – actually my teacher in California, Zaven Melikian, was very instrumental in getting me back into shape – after six months, I was fine. I mean, miraculously, I got better, and then the opening for the Florida Orchestra concertmaster came open. Ovation Press: In the middle of your master studies? Ovation Press: And solos, big solos. Ovation Press: So you never thought about it? You never even planned? Moretti: No. All of a sudden I had a job, and I thought, “Well, this will be really exciting and I’ll get to learn all this orchestra rep. I’ll get to do concertos with the orchestra and do chamber music.” I thought this was going to be really wonderful. So I dove right into that. I did have to leave school, though, and my dad really encouraged me to complete my degree, which I was able to do through independent study while in Florida. I wrote about concertmaster responsibilities, chose Strauss’s Alpine Symphony to show how I marked parts and analyzed the music and evidently Cleveland sent my work to Bill Preucil (concertmaster of the Cleveland Orchestra) to look over. I completed requirements by flying up to play my Master’s recital over a weekend. After five years in the Tampa Bay area, the Oregon Symphony position came open and I was able to win that position after a lengthy audition process where I even appeared as soloist in Vivaldi’s Four Seasons. It was in Portland where I met and played with Bobby McDuffie. Ovation Press: Was he a soloist there? Moretti: He came in to play at the Chamber Music Northwest summer festival held at Reed College. We did the Chausson Concerto for piano, violin and string quartet. He told me about Mercer and Macon. He had already been named distinguished professor of the university and was formulating his idea for this program. He showed me some information on the school and I was impressed. He had also studied with Margaret Pardee and we had similar backgrounds: I grew up in North Carolina, he grew up in Georgia; we both had to go away to further our studies. I learned about Mercer University over one weekend, and then it was maybe a year later that I got a call from him saying that they were ready to start his program and he needed a director and a violin teacher. I must say I was extremely happy in Portland – with the Oregon Symphony, Carlos Kalmar, and all of my friends there – but after much thought I decided that this would be a wonderful opportunity to explore something new and have more time for chamber music. Ovation Press: Here you’re the director, you’re violin professor, you have the Fabian Concert Series, you have the string quartet…that’s a lot of hats for one person. Moretti: It’s a lot of hats, yes, and I guess I must thrive on it. I feel like it’s fun for me to get to do all of it. I think it keeps me energized. Ovation Press: You’re married and have two beautiful boys. How do you keep a balance of all those things? Moretti: Balance is a really interesting word that I’m not sure if I even can tell you how to do it or how I do it. Students while in school think they’re so busy, but when you get out of school, that’s when life hits you. Ovation Press: Right, now you’re going to have a family, now you’re going to support a family and now you’re going to have kids probably. Suddenly you have to really know how to use time efficiently. Were you always good at using time efficiently? Moretti: Yes, I think so or at least I figured it out quickly out of necessity. I think from a young age I learned when my best practice time was. I knew I practiced best in the morning. From there, I figured out that my day would then go like this and this and this. 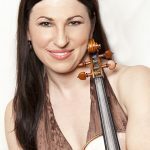 I knew that if I got my practicing in early, everything else in my life would go more smoothly and I would be at peace, because playing the violin was that important to me. Ovation Press: Did you always do it in the morning when you were in school? Moretti: I tried to. Even when I was in high school I would try to wake up early and do an hour or two before I went to school. That way I would feel I had a head start on the day. Then when I got home, it wasn’t like my hands hadn’t done anything. That’s how I worked then, and I do find to this day if I don’t get my practicing in earlier in the day, it gets harder and harder to get to the violin because life does get in the way. Over the years, I have learned how to practice more efficiently too, in order to get a lot done in a shorter amount of time. And yes, you’re right, I have my family -– the directorship and teaching – there are so many things that I have to accomplish. I have really worked to figure it out because playing the violin – I would never ever want to give that up. I first figure out how to balance that part of my life, and then it is a matter of figuring out how to get the other things done. I find that multitasking is not the best way for me to get stuff done, so I do try to stay focused on the thing I’m doing. Ovation Press: Focus on one thing at a time? Moretti: Yes. And I make lists so I know the things that must get done. Writing it down helps. I find there can be so many lists happening in my brain with a lot compartmentalizing going on there, that writing it down is good. Ovation Press: Does Steve, your husband, help you to be organized? Moretti: He helps in great ways and he’s an amazing father. He really helps me with the kids. Definitely I wouldn’t be able to do it without my husband who is organized about it too. He is one who is able to multitask; it must be his percussion background! I guess after so many years together we just naturally divide family responsibilities and have learned to depend upon one another.. You do have to figure out where you’re going to put your time, and learn that you will have to make sacrifices. You must be able to just realize, “Okay, I can’t do everything today,” and then figure out where you’re going to put your focus by good prioritizing. Ovation Press: It’s probably also what you do with the chamber music. When you have the trio, you have certain periods of intensive work. And with the quartet, you told me you’re going next year to go to play the whole Beethoven cycle in Korea? Moretti: Yes, ohhh the Ehnes Quartet! Being a part of this amazing string quartet, with people I feel so privileged to make music with, is awesome. We all have full-time jobs that we’re so busy doing, but somehow we’re able to find the time to get together, rehearse, and intensively study and learn an astounding amount of repertoire from the quartet literature. When we get together it just happens so naturally – we work together so well. Not that it is easy because it is very intense and the music is often very difficult but it’s really wonderful and satisfying. Then there are the logistics: we have to figure out dates, and for example, we have to figure out how we’re going to learn all these Beethoven string quartets before next summer- but we’ll do it! We’re going on a European tour coming up this month—we’re leaving on the 24th—and I know while we’re on tour, we’re going to do a recording in England as well and we’re going to have to practice at least one of the Beethovens that we haven’t done yet, while we’re on the road. Ovation Press: Did you say you’re going to play all the Beethovens before the tour, but never at the same time? Moretti: Exactly. When we get to Korea next summer in June, it will be the first time that we will have played them all in one period. Ovation Press: How long is the tour? Three weeks? Moretti: The cycle we’re doing is over two weekends. Three concerts each weekend, a total of six concerts. Ovation Press: That’s exciting though. Moretti: Yes, it will be, and it will be my first time going to Korea plus Steve and I have decided to bring the kids along. I know the others in the quartet have been there before and of course Richard O’Neill has his own series and festival over there. Ovation Press: I understand that you met members of your quartet at Meadowmount? Moretti: Right. So for the students that are going to Meadowmount, I will say that I first met James Ehnes when I was twelve years old at Meadowmount! Also Robert deMaine, Bob deMaine, the cellist in the quartet, was a student at Meadowmount at the time. Who would have known that here we are… how many years…I don’t even want to do the math on it, but it’s a lot of years later that we’re in a professional quartet together. This is something I stress to the Center students. The people that you’re coming across now at school, summer festivals, and your travels, you never know what it will lead to in the future. Ovation Press: Being in many places, seeing many people, there’s nothing better than that in the music world. Moretti: Yeah, it is the beauty of it, yes. I feel so fortunate to be playing festivals and meeting and performing with so many wonderful musicians, and I often think back to Meadowmount when I was a young student and how special that was. Ovation Press: I think it’s amazing how Robert McDuffie and you, supported by the Townsend school and also Mercer University, have developed The McDuffie Center for Strings. It’s amazing to have a school where all the students are on full scholarships. They’re such a supported group of kids that the level is so high. Moretti: Yes. Everything that you’re saying is so true. The University has given us tremendous support with scholarships and also with personal support at our concerts. We often see President Underwood and his wife Lesli at our events throughout the year and they are so appreciated by all of us. The Macon community has been hugely supportive with donations to the Center and to our endowment. Macon, Georgia is known for its Southern Rock heritage: the Allman Brothers, Otis Redding, Little Richard – all musicians from this area, and now the Center is building a sound reputation that encourages top level string students to come here. When we started the program eight years ago, the idea was to provide a conservatory atmosphere within the university framework where the students learn business-oriented skills and university subjects that will enrich their lives and help them to find success after they get out of college. We feel we are succeeding. We want them to spend their time in the practice room – we do want them to be as good as they can be on their instrument – but to also figure out ways that they can use that to their advantage when they get out of school. Orchestra jobs are harder and harder to come by nowadays. They may build their own festivals, figure out their own way to support themselves, and it may be doing something so new that we’ve not even thought of it. I think the students realize they are fortunate to be in this special place where they are encouraged to think about that. Ovation Press: So the students are also within the university where they have to get the whole university education. Moretti: Right. Exactly. For example, they’re taking public speaking as part of their core. You have to be able to speak about yourself and speak in public. We’ve just recently started a class where the law professors from over at the Mercer Law School are working with them about contract law and independent contracting so they can understand some of the language that they will likely encounter in the future. Psychology is so important, understanding the way that people think and behave. A music business class is a standard part of their core classes. We are so fortunate to be affiliated with the university and of course the Townsend School of Music where they all study music history and theory. I find a really special component of the education here is the performing that the students are getting to do alongside their faculty mentors, and also the fact that if you come in as a violinist you’re not only studying with the violin teachers, but you also get to interact with the viola, cello and bass faculty as well. It is really team teaching considering all the input from the faculty through their chamber music coaching. Ovation Press: Something that’s also strong here also is that if you’re in New York City, that there’s so many things to do. But I think, especially when you do undergraduate, having the ability to really focus on your studies without having to follow every single thing out in the world, it’s a good thing. I find here the students are very, very focused. When I come to work with the kids, they are very focused around everything because it’s a smaller place. Then, I think maybe when you go for master’s or doctoral, then it’s good to be in a bigger city because you also need to be inspired by what’s out there. Moretti: Yes I think so too. Distractions are less here and you do learn to focus on your individual or group goals. One of the great things when you’re part of a small string ensemble of 24, as it is here, every player must be playing at the top level. You learn you have a responsibility to the group, which is great motivation to practice, and I think such a healthy way to approach orchestra playing and chamber groups. The opportunities they’re getting to perform throughout their four years here at Mercer are tremendous chances for them to learn to perform under many circumstances and to adjust and feel comfortable. We work individually with each student, trying to figure out with them what is going to be the best place for them to expand and enhance their education as they prepare to graduate. Some of them are able to go ahead and get a job but oftentimes we’re helping them prepare for where they want to do their master’s and it’s exactly what you’re saying, we want them to go into a bigger city and really start to make their network that way and as you say, be inspired by their new environment. They also go to Rome at least twice during their time at Mercer. 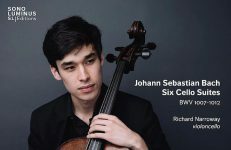 Ovation Press: Right, The school is connected with the Rome Chamber Music Festival? Moretti: Which Bobby started! I think it’s been at least 11 years. They get to go spend a week in Rome and have a study abroad experience plus perform alongside young European musicians and the professional guest artists. Ovation Press: And two or three of you played in New York a couple of times with a whole group? Moretti: We’ve gone to New York. We’ve gone to various places here in the southeast. They get opportunities to do these type of things which I think helps them understand what the world is like outside of supportive Macon. We would never want them to be in a bubble. We want them to know what the world is like, and I feel like when Larry Dutton comes into town and he’s just been over in Russia and comes back and tells us a story about something that happened on his tour there, that gives these young musicians an idea of the lifestyle of a touring artist. 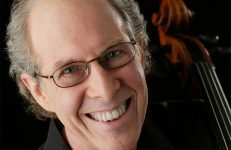 Ovation Press: In the Fabian Concert Series, you really bring some of the best in the world for master classes and as guest artists. Your old teacher is coming here this year. Moretti: Yes, Donald Weilerstein and his wife Vivian are going to be coming. Ovation Press: When are they coming here? Moretti: They’re going to be here in February. February 2nd will be their concert and one of our fantastic cellists, SiHao He, will be playing cello in the Elgar Piano Quintet with them. 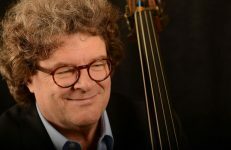 The students are not only getting to see the Weilersteins perform and to participate in their masterclasses, they’re actually also able to perform or see a fellow student perform with them. The Center offers quite a unique program in that way, students experiencing music from all angles. Ovation Press: The concert I’ve listened to here is always like the highest level, like the last opening day concert. Moretti: Oh, yes. The Labor Day Festival is our way to introduce high school seniors to what we’re doing here. We invite two string quartets of students to come – eight high school seniors from all over the country—most likely they will not know each other—and we put them into two string quartets. They have an intensive few days working with our faculty and then on Labor Day Monday they put on a concert, and all of our Center students perform in some sort of orchestral format. This year we did the Vaughan Williams’ Thomas Tallis Fantasia. Bobby and I also played a little something and we had a movement of the Schubert Trout with our other faculty. Ovation Press: It was beautiful. Moretti: Thank you. We are so pleased with the great community support for this. Macon has totally embraced the Labor Day Festival. Our Center students have told us they love it, too. Ovation Press: The concerts, every concert I went to, it’s absolutely packed and people are really enthusiastic. This year we have students from at least three foreign countries and 11 states, so we have great diversity and I think that’s what also creates the great environment here. They come from different backgrounds with love of music the common denominator. The students really get close. They rely on each other and it becomes a nice community. Ovation Press: As a teacher, one thing is when we teach we have to teach to students how to play the instrument, that’s a whole story in itself, but then when we teach more advanced students and we have to prepare them to go out in the world to win a job, but it’s not only to win the job, it’s so how do you sustain, how do you keep the job? So when you got your first job you were just right out of school. And when you won the second job, you told me you had to go into two weeks of trial period. What are some of the experiences that you could share with your students about that? Moretti: Preparing an audition for an orchestra position is an interesting and exciting experience. In my case, I was auditioning for a concertmaster spot, so speaking directly to that, I would recommend preparing the concerto as if you were going to perform as their soloist, and actually I think that goes for whether you’re auditioning for concertmaster or section. Whenever you play a concerto for someone, you should approach it as if you’re going to perform as a soloist with that group. You want to prepare it at that very high level and with that mindset so it is more than a demonstration of the music, it is a solo performance. Then if you’re asked to play solo Bach next, you want to play it in the style of Bach, of course. Sometimes you can get so invested in your solo performance that you need to remind yourself that you must be sure to switch gears stylistically so it is different from the way you just played your concerto. Then when you move into the various excerpts that they’ve asked for, again you need to easily be able to switch and play within the style of the excerpt. Perhaps the most important quality to try to display is the beauty of your sound. It is the essence of every player and so important. You should spend time concentrating on it – listening and practicing your sound production. Another important quality you must display is accurate rhythm. Thus, you should do a lot of good metronome practice, making sure that everything is even and correctly placed. Then, intonation has to be flawless or close to flawless because when you’re sitting behind the screen—and I’ve served on those audition committees—it’s easy to discount someone if something’s out of tune. That’s an easy red X right there. You want to make sure that you have good centered intonation. Now for concertmaster I think there is some difference from auditioning as a section player. When I approach the excerpts I obviously try to play them at the best of my ability but I think there is a little more freedom to show personality and phrasing than a section player audition. I think if you’re auditioning for section of an orchestra, you still want to show phrasing and musical understanding but you need to make sure that you fall within a framework. You don’t want to sound like a soloist when you’re playing excerpts. Ovation Press: That’s true. It’s different. Moretti: I think when they’re looking for a section player, they’re looking for someone who’s going to sit beside them for many, many years; they want that person to be able to blend in the section. I think when you’re doing concertmaster, yes, you must have clear musical ideas because they’re looking for someone who’s going to lead them and help guide the orchestra stylistically. In preparation for an audition, I try to have my students play for as many people as possible. I also often times have them stand behind the piano up on the stage of the hall here with the piano lid up to mimic a screen. So let’s say you do win an audition and you’re selected for a principal position, oftentimes they’ll want to do a trial week with you to make sure it’s the right fit. That’s when your personality comes into play: interacting with people, understanding how to speak to your section and how to convey things. I approach playing in an orchestra like playing chamber music. You want to be able to speak to someone the way you’d want him or her to speak to you. I think that’s the best advice I can give. When you go into the situation, consider that they’re taking a look at you, the whole package, including how you work as a person. It’s not just your playing ability behind the screen at that point. Ovation Press: Of course, for anybody, you have a whole year or two years before you get your tenure in an orchestra. So don’t start looking and making faces if the second flute has a pitch a little bit high. I don’t think that’s a good thing to do. Moretti: No, it’s not and, you know, you would hate to think that someone would change after they get tenure. You want to be yourself, because after all you want to feel comfortable and in the right position for yourself, but it’s always important to remember to be a professional and to act in the way that you would want someone else to treat you. Ovation Press: That’s true. That’s good advice. That’s the best advice.